Tomorrow is Earth Day and that means there’s no better time to green your life. 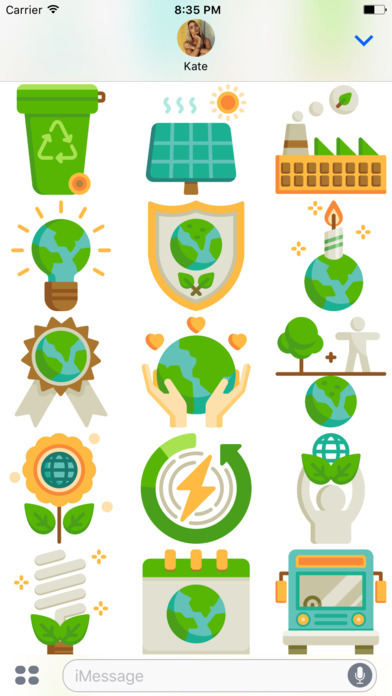 Aside from the three R’s of recycle, reduce and reuse that we have been practicing since elementary school, there are tons of fun and easy ways to make sure you’re doing as much as you can to make the world a better place. Making your life more eco-friendly may feel like a daunting task at first, but don’t worry – there’s an app for that! Actually, there’s quite a few. However, in this review, we are going to tell you about the new sticker pack dedicated to this earth’s day named as, Earth Day Stickers Pack. To add this sticker app to your iMessage app Shelf just follows few steps.